The kitchen is a fun place for the whole family. Make it an exciting and enjoyable part of your home and the children will always be present to help you in the kitchen. What I’m trying to say is that you can decorate your kitchen and transform it into a practical room with colors and life. With these kitchen remodeling ideas for small kitchens you can easily do small kitchen makeovers on any budget. Bring in more colors: There are various decors that can add color to your kitchen such as flowers, vases, candles, etc. Coffee makers and blenders are also available in colorful designs. Choose the right colors for your kitchen. Get rid of the old and boring white switch covers on the wall; replace them with decorative light switches. These are ways to add excitement to the kitchen. Add fresh fruits on a nice basket or tray: Fresh fruits are always colorful which everybody can eat. That would add color and vitality to any kitchen. Another way of decorating with fruits is to fill a tall crystal vase with only one kind of fruit (orange, lemon, or any fruit you want). You can also use a fine China plate with assorted colorful fruits lined up with green to add appeal. Use small kitchen appliances: Kitchen appliances should be small to avoid occupying more space. There are multi-purpose appliances just great for the kitchen which can be used in food mixing, blending, chopping or grinding; all the functions in one. Microwaves, rice cookers, toasters, indoor grills and sandwich makers also have small versions. Use stylish faucets: There are new trends in faucet designs and colors. A faucet gets the most hands on it than any gadget in the kitchen. You’ll add an amazing decor when you choose from the wide selection of colors and metallic designs. Dresser for the kitchen: There might be a vacant corner or space in your kitchen. A little nice dresser with drawers is perfect for keeping utensils, napkins, table cloth, unused paper and plastic bags, etc. Its top is a good place to position your microwave oven too. There are more decors that would create a good look in the kitchen such as curtains, shelves, cupboards, hanging baskets and more. It’s up to you where to make amendments and what to retain. Consider your budget; whether your decorating plan is big or small it will cost you something. 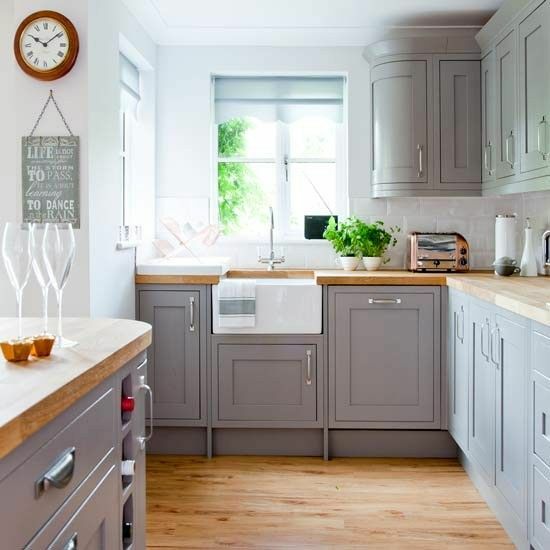 The bottom line is making your kitchen a pleasant space to spend most of your time. This entry was posted in kitchen decor. Bookmark the permalink.